June is Great Outdoors Month: a celebration of America’s public lands and waters and the many ways to enjoy them. Organizations and municipalities host events throughout the month to encourage people to #EscapeTheIndoors and recreate. 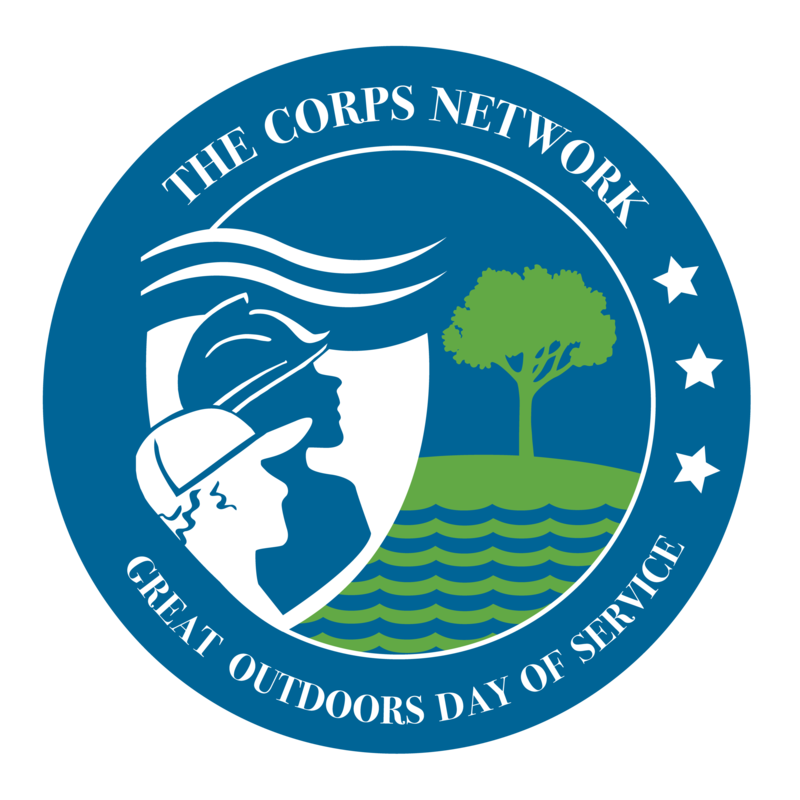 The Corps Network recognizes Great Outdoors Month with our Great Outdoors Day of Service in Washington, DC. Friday, June 15, 2018 is our 5th Annual Day of Service. - Inspire people to get outside and contribute to the preservation of America’s natural spaces. Hiking, biking, camping, fishing – so many outdoor activities would not be possible without proper stewardship of our park infrastructure and resources. All of us can pitch in to maintain the places and habitats that support our favorite activities. - Raise awareness about the role of service and stewardship in protecting and improving public lands. - Celebrate the service of the stewards who protect our natural treasures. - Make a Difference. We hope to make a dent in the backlog of maintenance projects at parks in the nation’s capital, helping our resource management partners focus on other priority projects. Outdoor enthusiasts, friends of the Corps movement, and young people from Corps across the country will participate in the Day of Service. The event will involve invasive species removal projects at Lyndon Baines Johnson Memorial Grove along the George Washington Memorial Parkway. Before volunteers disperse to projects, the day will begin with a warm-up and remarks from inspiring speakers. The Day of Service will happen rain or shine, so come prepared for the elements! We will get in the dirt and weeds, so bring appropriate clothing that will protect you from scratches, poison ivy, etc. We will distribute Day of Service t-shirts to all volunteers, but you may want to bring a long sleeve shirt. To register multiple people, please contact Bobby Tillett, Member Services Coordinator, btillett@corpsnetwork.org. We invite your sponsorship of The Corps Network Great Outdoors Day of Service. This is a great way to get involved in the national effort to engage more young adults and veterans in service on public lands. The Great Outdoors Day of Service will take place at LBJ Memorial Grove, located along the Potomac River. Check in at the registration table and pick up your Day of Service t-shirt. Breakfast provided for all volunteers. To include remarks from speakers, warm-up activity, and safety debrief. A little more work after lunch to finish the project. The 5th Annual Great Outdoors Day of Service will take place in Washington, DC at LBJ Memorial Grove. Thank you to the National Park Service staff at LBJ Memorial Grove/George Washington Memorial Parkway for collaborating with us to host this event! The Great Outdoors Day of Service comes at the end of Outdoor Stewardship Week (June 11 - 15, 2018). Outdoor Stewardship Week is a social media campaign to encourage people to #ServeOutdoors. Our message is to remind everyone that we can all help maintain the places and habitats that support our favorite outdoor pastimes. Many of the activities promoted during Great Outdoors Month – including trail use, camping, boating, and fishing – would not be possible without proper stewardship of our park infrastructure and resources. Be a good steward; #ServeOutdoors. Great Outdoors Day of Service!